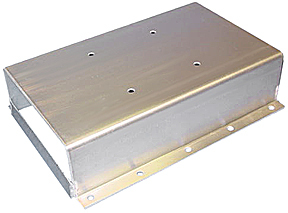 This Seat Box allows a swivel seat to be installed to the bench seat in an aluminum or fiberglass boat with ease. Holes are pre-drilled for attaching the seat to the bench seat in the boat. The seat box sets the swivel seat approximately 3-1/4 inches higher which allows for better visibility and casting. A slot in the seat box allows for storage under the seat. This unit is constructed of aluminum for lightweight strength and durability.